As part of the countdown to the Week of Hockey Stars in Astana, we at khl.ru are taking a nostalgic look back at the nine previous All-Star Games. Yesterday, we recalled the 2012 event in the Latvian capital, Riga, so today we focus on the fifth All-Star Game, hosted by Chelyabinsk. The first four venues certainly had variety – Red Square, Belarus, Petersburg, Latvia – but even the casual observer noted that the latest score was Western Conference 4-0 Eastern Conference. 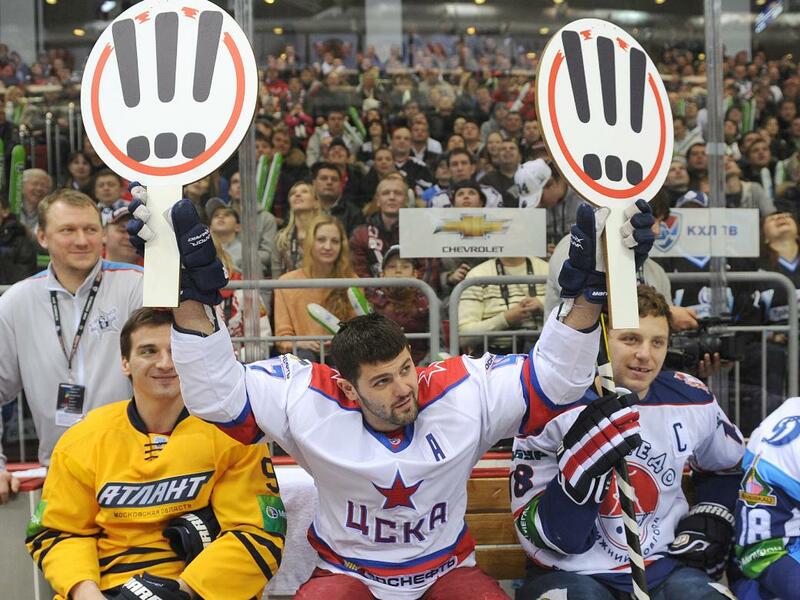 There were inevitable and understandable protests, stating that, while this was hardly a conspiracy, it did seem an injustice, particularly taking into account the passion for the game in Magnitogorsk, Kazan, Omsk and many other cities in the Oriental part of KHL territory. The League agreed, and chose as host the hockey-mad city of Chelyabinsk. In 2017, Ufa staged the Week of Hockey Stars, and next week we are all headed to Astana, but back in 2013 an eastern stage for the All-Star Game was considered a pioneering step. The expanding program for the previous year's All-Star Game had already outgrown a single day, but the action on the Eve of the big game was limited to a single event, the Russia-versus-Latvia Legends' Game. In Chelyabinsk, the organizers hit upon a new (and for the players, humane) idea – a proper weekend of hockey, with a full two-day program and the Master Show played the day before the All-Star Game. 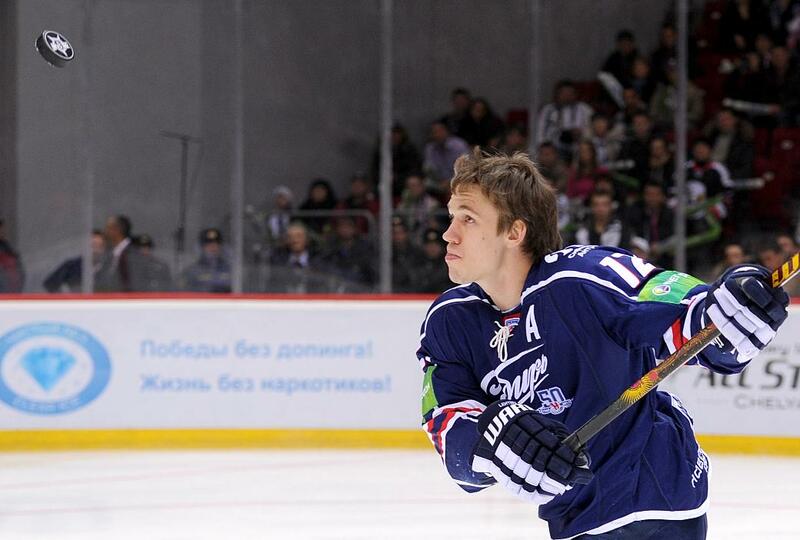 The 2013 All-Star Game in Chelyabinsk broke records before a puck was even struck. The event was by far the most expensive of the five which had been staged, with the bulk of the extra outlay going on transport, travel and the modernisation of the arena. Additionally, doubling the number of days also meant doubling many other expenses, from accommodation to snacks, and yet more funds went on improving the quality of the media coverage: it was the first time the All-Star Game was broadcast in HD. Finally, the “biggest hockey show of the season” decided to incorporate a non-hockey show, and most agreed it was money well spent. Fans and viewers were treated to a glittering extravaganza, featuring drums, lights, snowfall, mini-histories, popular Russian rockers B2, and even a dancing camel. 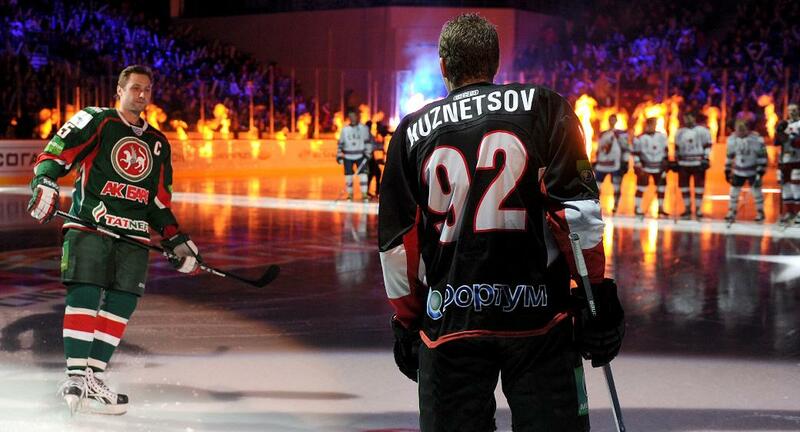 The 2012-13 season was a particularly exciting one for fans and clubs of the KHL. A short while into the campaign, the NHL lockout led to a temporary exodus of players from North America to Eurasia. In all, around three dozen NHL stars chose to spend the duration of the dispute in the KHL, including Alexander Ovechkin, Niklas Backstrom, Evgeny Malkin, Sergei Gonchar, Zdeno Chara and Victor Hedman. It led to a hasty re-writing of the Regulations and a reshuffle of many rosters, but made for a highly intriguing regular season. Naturally, it also added extra color to the All-Star Game. 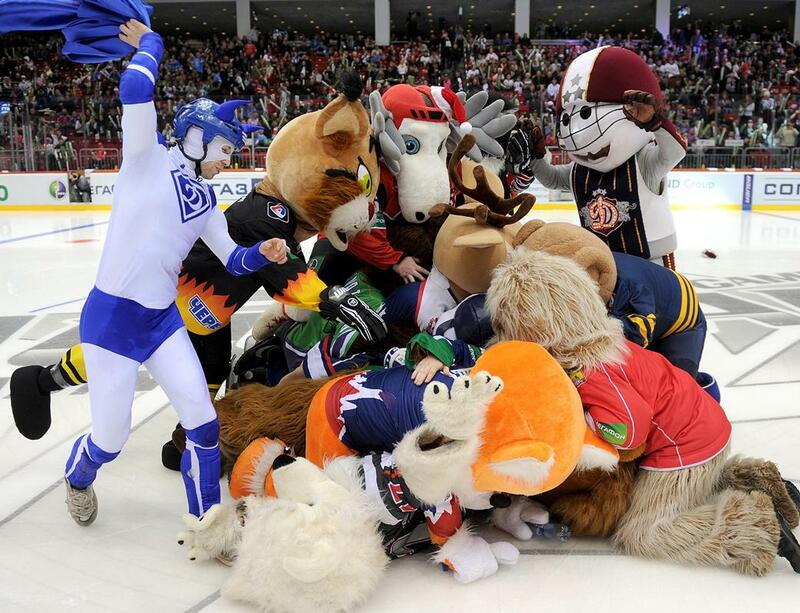 As the clock counted down to January 13, however, the chances of Chelyabinsk playing host to the cream of the NHL diminished accordingly as the dispute neared a settlement. The lockout did indeed end, and the locked-out players returned to their contracts and clubs in North America, but there was an unexpected bonus when two of the biggest NHL stars of all, Pavel Datsyuk and Ilya Kovalchuk, requested to stay on for the All-Star Game. Now, of course, the formidable pair are linemates with the Petersburg Army Men, but in Chelyabinsk in 2013 they were the unexpected stars of the show. To their credit, it was clear that neither Kovalchuk nor Datsyuk were at the All-Star Game merely to add prestige and sign autographs. Pavel, the Magic Man, produced his trademark shootout goals at the Master Show, and against Michael Garnett, who suffered the same fate from Datsyuk in the All-Star Game from a penalty shot. As for Ilya, he gratefully accepted the captaincy of the Western Conference, finding himself in direct opposition to his good friend, Alexei Morozov, leader of the men from the East. And the oraganisers had dreamed up a Captains' Duel, forcing the pair to go head-to-head … at figure skating(!). The burly pair, it must be said, did not look the most graceful partners to the young lady skater, but they deserved full marks for effort. In Chelyabinsk, as in every previous year, there was something new in the Master Show. This time there were two new contests: Shooting Accuracy in Pairs, at which Kovalchuk and Ryazantsev emerged victorious over Morozov and Nikulin, and a Close-Range Shootout, in which the skater made four quickfire efforts to score, each starting off from the blue line, and the winner of this was Alexander Perezhogin. There was still respect for tradition, of course, and the League kept the fans' favorites – Most Effective Shootout Attempt and Hardest Shot. The first was a fascinating contest between a local (and the year before, national) hero and a legend: Evgeny Kuznetsov versus Pavel Datsyuk. Detroit's Magic Man triumphed, but young Evgeny could console himself with victory in the fastest skater, posting what was then a record lap time of 13.82 seconds. The winner of the Hardest Shot, which the previous year was memorably won by Team East thanks to Alexander Ryazantsev's record-breaking howitzer, went to Team West this year, but only because the fearsome Mr Ryazantsev had moved to Severstal, in the West, and so had transferred allegiances. After the men from the West won the Master Show (6-4), they opened the scoring in the All-Star Game itself, thanks to a strike from captain Ilya Kovalchuk. The West could boast an offensive line of Kovalchuk – Datsyuk – Radulov, which not long before had spearheaded Team Russia's offense at the Channel One Cup, and a year later would do the same at the Sochi Olympics. However, as the name of the event suggests, these were far from the only stars on the ice, and the East recovered from its shaky start and began to turn the game around, thanks in part to a Kuznetsov hat-trick. This, in turn was partly due to a curious episode – one of the assists for Kuznetsov's treble came from Ryazantsev, who was playing on the opposing side. Doubtless, the pass must have been leftover instinct from the year before, when Alexander was a Traktor player seeking to pick out Evgeny at this very arena. In the end, Eastern hospitality was postponed until after the game, and the hosts sealed an 18-11 victory. The game's top scorer,Jori Lehtera, also provided the finest moment – a sublime penalty shot, multiple versions of which still yield countless views on YouTube. Sibir's Flying Finn skated a graceful arc until he bore down on Vasily Koshechkin's left-hand side, and then, producing a lightning last-second swerve accompanied by a soccer-style stepover, dragged the goalie away from the near corner, into which sailed the puck. A successful penalty shot without a shot! Even the Magic Man would struggle to match that.